Moose Exhibits, based in Atlanta, is a full service exhibit house catering to the needs of large and small corporations. Their core clients typically require both quality trade show products as well as professional services for their trade show marketing programs. 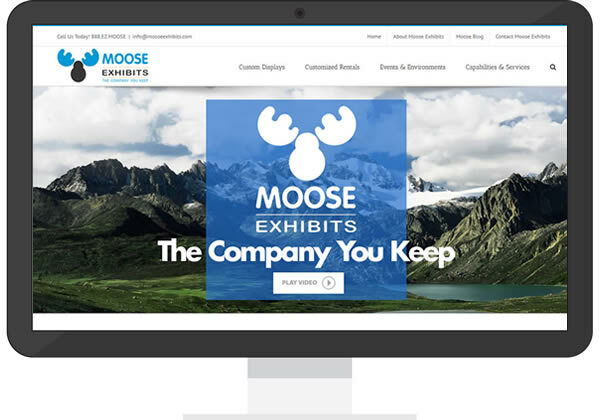 We began working with Moose back in the days when they were more a trade show logistics company and it’s been a pleasure to watch them grow and transition into Moose Exhibits from Moose Logistics. We developed a couple of static HTML sites years ago but have recently worked with them to build/release a WordPress version of the Moose Exhibits website which is mobile friendly, responsive and interactive. The site contains a private gallery which integrates with their online marketing database, which allows them to present private unsold designs to potential clients who provide valid email addresses.